Hôtel d'Angleterre price per day from € 75 Hotel d’Angleterre is located opposite the Chateau de Versailles and 500 metres from the Versailles-Rive Gauche RER station. 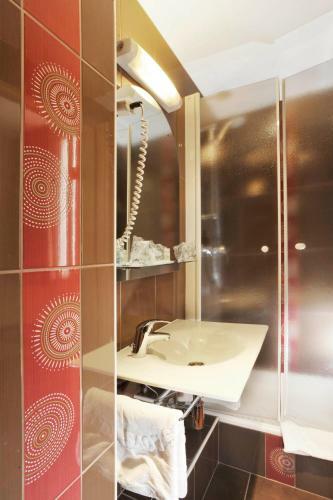 It offers en-suite accommodation with satellite TV and en-suite facilities. The hotel’s multilingual staff are available everyday at the 24-hour reception, which also provides free Wi-Fi access. 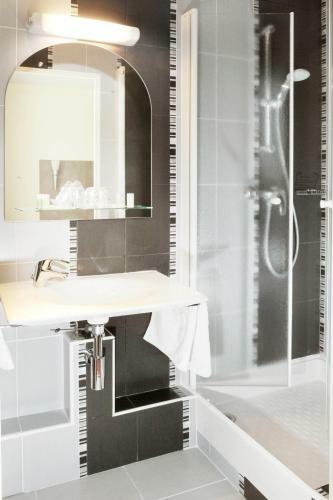 Hotel Richaud price per day from € 74 Located in Versailles City Centre, 1 km from Château de Versailles, Hotel Richaud features a bar and en suite rooms with a satellite TV and a hairdryer. A traditional food market is located just 200 metres from the hotel and restaurants can be found 100 metres away. Ibis Versailles Château price per day from € 89 Located just 200 metres from the Palace of Versailles is the hotel ibis Versailles Château with its 24-hour reception. It has a bar serving drinks and snacks and the air-conditioned rooms include free Wi-Fi access. 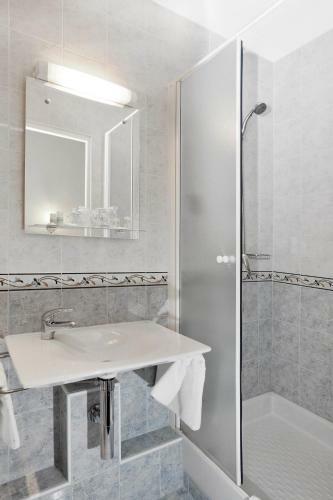 Each has a private bathroom that is fitted with a shower. Mercure Versailles Chateau price per day from € 92 Situated at the heart of Versailles city centre commercial district, the Mercure Versailles Chateau hotel offers modern rooms with air conditioning and free Wi-Fi access. 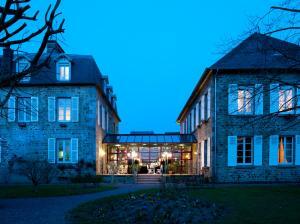 The hotel is located one kilometre from the Chateau de Versailles and its famous gardens. Pullman Château de Versailles price per day from € 202 Pullman Château de Versailles is less than a 5-minute walk from the Château de Versailles. The restaurant, LM CAFFE, serves French cuisine in a warm and contemporary setting. Town of Le Chesnay (~2.3 km). Town of Buc (~3.1 km). Town of Chaville (~4 km). 2+ villas/holiday houses ! Town of Ville-d'avray (~4.9 km). Town of Saint-cyr-l'ecole (~4.9 km). 2+ accommodation units !